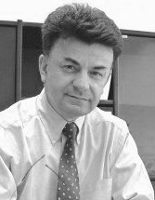 Prof Dr Ivo Rangelow is Director of the Institute for Micro- and Nanoelectronics, MNES at the Technical University of Ilmenaul, Germany. Main activities: Management of micro and nanostructuring branch. Principal scientist on projects in the area of nanostructuring, M(N)EMS, proximal nano-probes, nano lithography, semiconductor analysis, vacuum microelectronics, solid-gas phase reactions, semiconductor nanodevices, sensors/actuators and embedded systems. Responsibilities include acquisition and management of new projects, supervision of master and Ph.D. thesis projects and lecturing. He acts as organizer and chairperson of numerous international conferences and as Reviewer in scientific Journals and for Institutions. In 2000 he received the Elsevier Award for best Scientific Presentation. He has more than 300 publications, 36 invited conference presentations, 79 contributed conference reports, 31 patents and over 1'000 citations totally. The course will provide participants with a systematic overview of micro- and nanomanufacturing processes for micromechanical components and Microsystem Technology (MST), as well as their characteristics. A systematic method is presented to facilitate the selection of a manufacturing process for micromechanical components described by a requirement list. By the end of the course, participants will learn how to select an adequate process for a specific component, with regard to both technical feasibility and economic aspects. The course is structured to appeal to R & D managers and engineers, business development managers and a wide range of R & D staff from companies and institutes involved in the development and production of microdevices. Nanotechnology: Nanostructuring, nanomaterials, nanoelectromechanical systems, etc.